Mark Gilbert directs series of comedic web films for Subaru. The 1% live in chateaus, they date supermodels, and they collect supercars. It might be next to impossible to live like the 1%, but it’s easy to drive like them, thanks to the Subaru BRZ. It’s the attainable supercar. Targeting confident, independent male car enthusiasts between the ages of 30 and 35, Subaru has released two 20-second web films on YouTube, created by Toronto-based advertising agency Red Urban, that show how easily people can mistake the BRZ for a supercool supercar, and its drivers for elite members of the 1%. 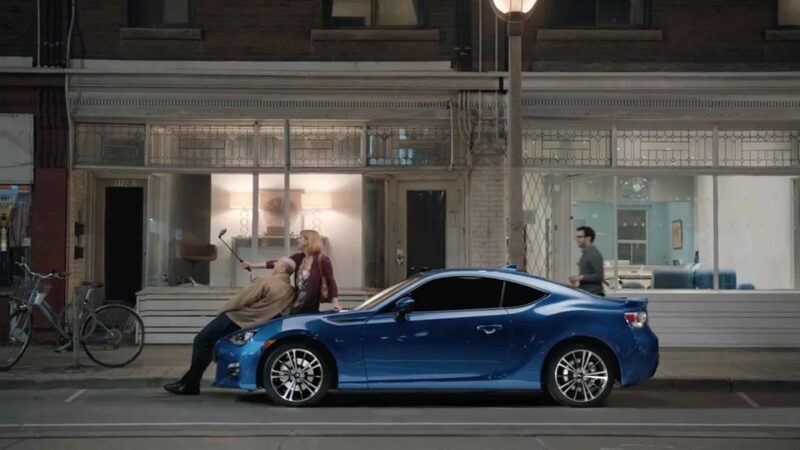 The first depicts the owner of a BRZ coming out of a store to find his BRZ the subject of an impromptu photo shoot by way of selfie sticks. The second follows a couple in a BRZ who’ve been targeted of a gang of motorcycle-riding paparazzi. What becomes clear is that the BRZ is a seriously affordable supercar for serious drivers and, at $27,395, it’s pure fun-to-drive quotient rivals that of cars ten times its price. “What we really wanted to show in these spots, in a tongue-in-cheek way, is that the BRZ is an attainable sports car” said Geoff Craig, Director of Marketing, Subaru. “That’s the great thing about the BRZ. It’s a fantastic sports car that happens to cost $27,395”. Every decision in the engineering and design of this car was made to provide the best driving experience possible. The BRZ has a lower centre of gravity than a Ferrari 458 Italia, exceptional balance, quick steering and throttle response, slick gear change and controllable oversteer. Most importantly, the BRZ looks like a million bucks.